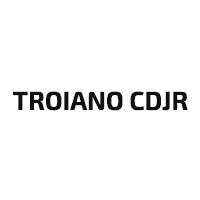 Ash has been the General Manager at Troinao’s CDJR since May 2000. He has served the Colchester area as an automotive professsional for almost 30 years. He is Chrysler Certified, AFIP Certified and Notary Public. Ash is a family man, his loving wife Beth is a Hartford school teacher, they reside in the Lake Hayward area of East Haddam. Daughter Elizabeth , a senior at Southern Connecticut State University and step son Adam of Haddam , CT. He enjoys Time with his family,cooking, home improvements, gardening and fishing. Ash attended the University of Alexandria in Egypt, University of New Haven and the University of Central Florida. He currently holds the position of Vice President of the Colchester Business Association (CBA) and a member of the Colchester Lions. 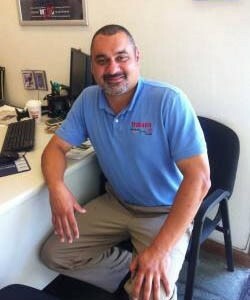 Frank Portonova Jr has been part of the Troiano team for 6 years. 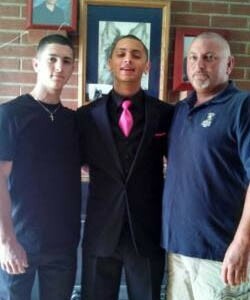 He was born into the automotive business.. His father owned a garage in Rocky Hill “Dinosaur Automotive” for over 30 years. In 1992 he began his career in sales. He loves working with people and finding the the right vehicle that fits their needs. He has 2 wonderful sons, 20 & 22 and enjoys watching their hockey games. They have been playing since they were 4 years old.He is so blessed to have an amazing family. He enjoys football Sundays with family and friends. Go Cowboys! 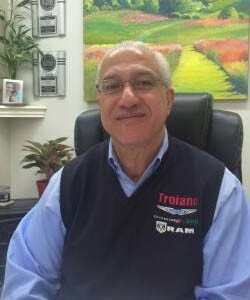 He would like to invite you all to come join the Troiano family where you will get the greatest enjoyable feeling you deserve when buying your next vehicle. Anthony has been working at this location 21 years. 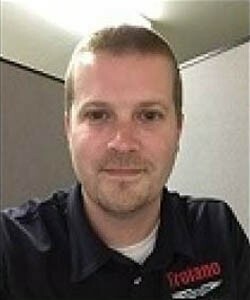 He started out as a detailer and worked his way up to a sales consultant. He is a lifelong resident of Colchester. He and his wife ( Emily) are proud parents of 3 children. He enjoys helping people in his community and is an active member with the Colchester Business Association. 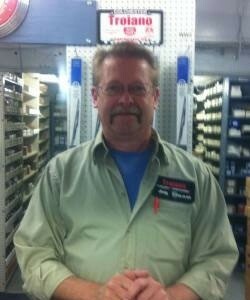 Dave has been with Troiano for 9 years. He has been selling cars since 1992. He came from a mechanical background from foreign to domestic. He started as a sales consultant in 1992 a few years later he moved into the finance field. He currently holds the postion as our special finance manager and is here to assist those who are in need. 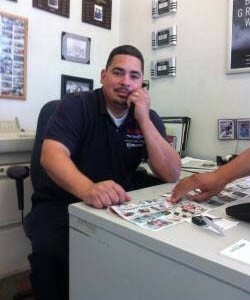 Andrew has been part of the Troiano team since the dealership was aquired. He has been in the auto industry for over 30 years. 17 of those years have been with Chrysler, Dodge, and Jeep. 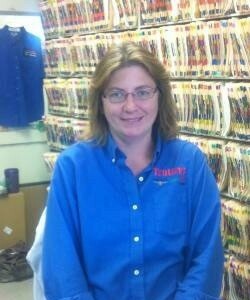 Cindy grew up in Pittsburgh , PA, she has worked with Chrysler Corporation for 25 years. John Force is her hero! In her spare time she enjoys gardening and wood refinishing. 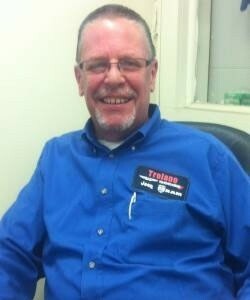 Bobby has been part of the Troiano team for 4 1/2 years. 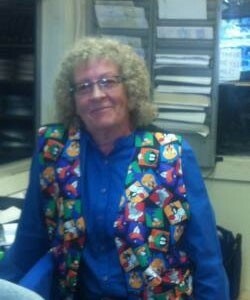 He has been working for Chrysler dealers since 1975. He was born in New London and has lived in the area all his life. He enjoys fishing, hunting, camping trips to Vermont and brewing his own beer. He is a collector of various things, such as antique chainsaws and tools.